Styled with grete jacket . 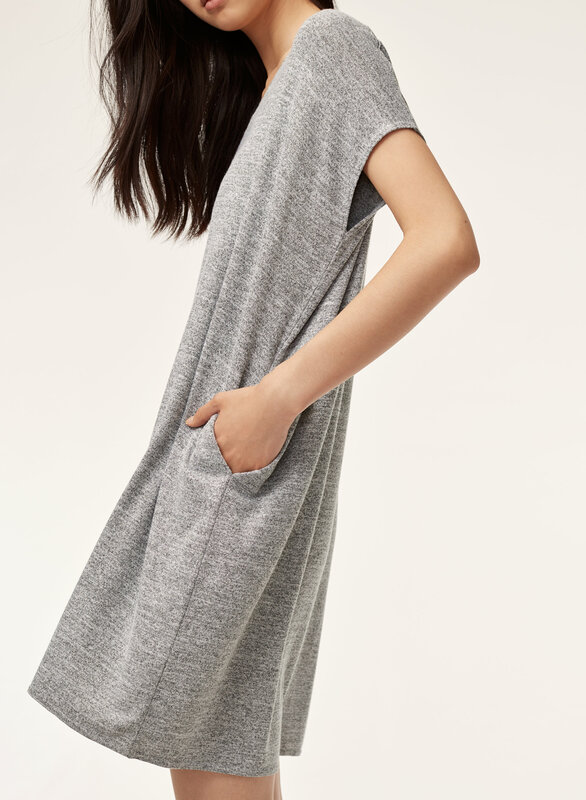 This Wilfred Free favourite is made with their signature fabric, Reposa™, a beyond-comfortable jersey knit that hangs beautifully. Look like you made an effort — all you have to do is throw it on. 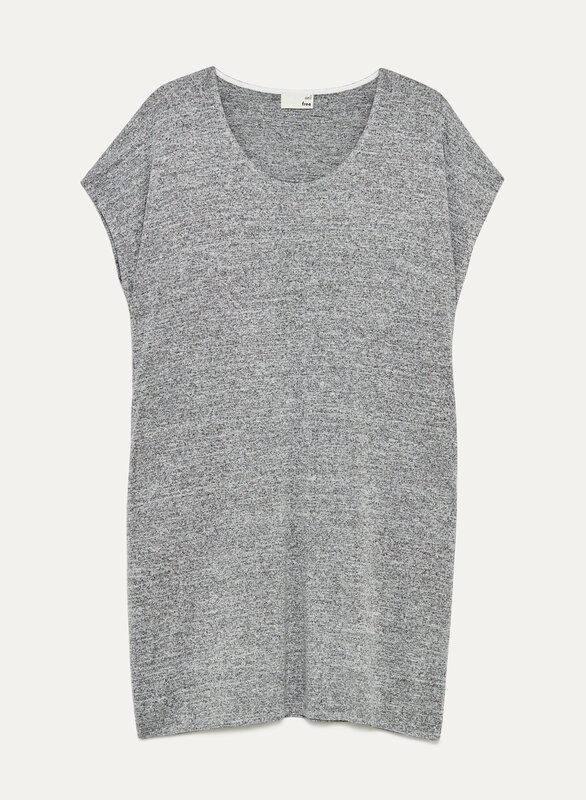 lightweight dress, love this as a transitional piece. 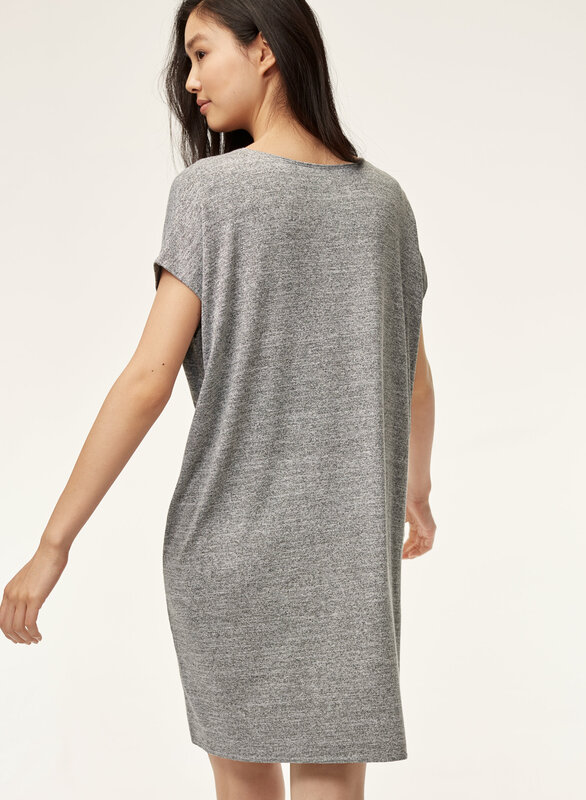 wear it with booties, sneakers of whatever you want, this dress is loose, flowy and so comfy! This dress is perfect for travelling. I am vacationing in a warm climate and this is perfect for boating or for spending an afternoon over drinks with friends . Easy to wear while still being attractive. One of my favorite styles.